Electronic Speckle Pattern interferometry (ESPI) is a non-destructive optical method for studying surface deformations. It relies on the interference between diffusely reflected light from the test object and a reference beam. This is one of the most sensitive interferometric technique, so that we can measure sub-micron level displacements either in plane or out of plane. The images before and after deformation are recorded by a CCD camera and analysed using an image analysis software. Deformation causes variations in the fringe pattern.These variations can be analized with the help of the software provided to find the deformations. 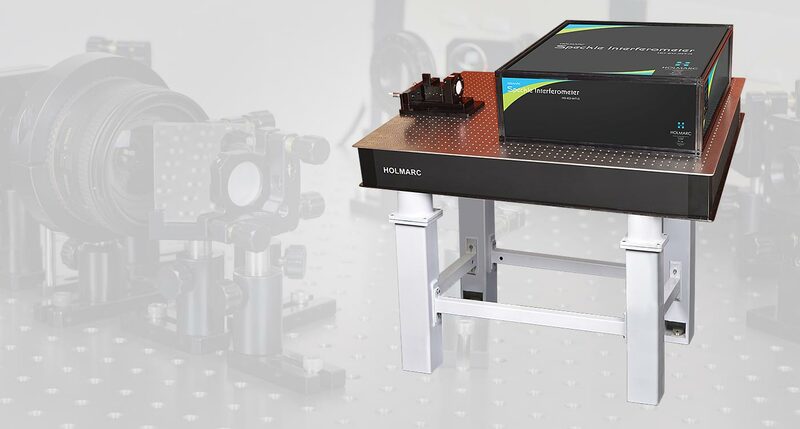 As this interferometer is highly sensitive to vibrational noises, Holmarc's ESPI comes with a Vibration isolation optical breadboard. A linearly polarized 632.8nm He-Ne laser with 5mW output power is used as the light source. A beam splitter splits the laser beam into two. 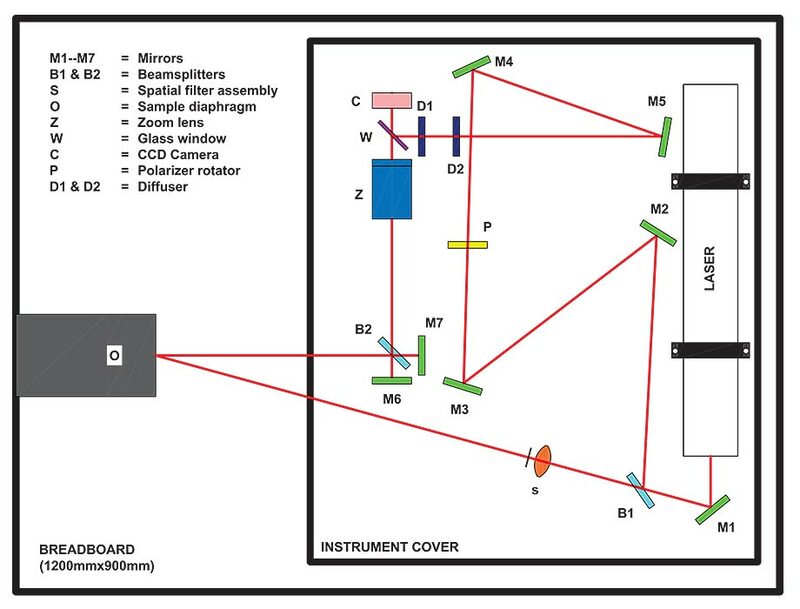 The transmitted beam illuminates the test object uniformly via a spatial filter assembly while the reflected beam falls on a CCD as reference beam. The image of the illuminated test object is captured by zoom lens and CCD. Our ESPI system allows the user to perform the Electronic Speckle Shearographic interferometry in the same system without disturbing the optical set ups and alignments. Holmarc’s camera application software helps to capture and analyze the images. Laser : He-Ne 5mW @ 632.8nm. Beam expander : 20X microscope objective with pinhole. Software : Holmarc camera application software & image analysis software. Optical Breadboard : 1200mm x 900 mm size with vibration isolation support.